Social exclusion and lack of transportation options perpetuate issues of extreme poverty for elderly and disabled communities. Photo by Abhi Here. 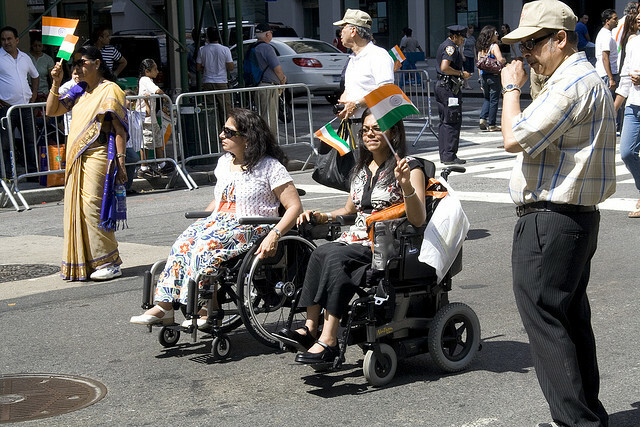 The 13th International Conference on Mobility and Transport for Elderly and Disabled Persons (TRANSED 2012) is set to take place in Delhi, India, September 17-21, 2012. This year’s theme is “Seamless Access for All: Universal design for transport systems and infrastructure as a key element in the creation of livable cities.” Currently, conference organizers are calling for abstracts in the form of papers or posters that cover core research, policy issues or practical application methods. The deadline for submissions is one week from today, March 30. TRANSED is a conference designed as a platform to discuss recent research, highlight international breakthroughs and explore technological innovations to improve the quality of life for aging populations and people with disabilities. The conference also aims to examine ways to address challenges associated with improving mobility and transportation needs for the elderly and disabled. As we discussed in a previous post, in 2010, 10 percent of the world’s population had a moderate to severe disability; that is more than 650 million people. Of those that do have a disability, 80 percent lived in a developing country, and 80 percent to 90 percent of working age individuals with disabilities were unemployed. TheCityFix Blogger Victoria Broadus discussed how these statistics draw attention to the relationship between having a disability and extreme poverty, and how social exclusion and a lack of transportation options can perpetuate these issues. TRANSED conferences are held every three years and are milestone events in the field of accessible transportation. By attracting researchers, policymakers, transport operators and consumers on a global stage, the conference encourages the sharing of innovations and best practices in accessible transportation and mobility. Hosted by Svayam, an initiative of the S.J.Charitable Trust, the event is also co-sponsored by the Transportation Research Board. The event was previously held in China and Canada, in 2010 and 2007, respectively. For more information, visit the official TRANSED website.